There’s an old joke in the physical sciences, often attributed to Einstein, that a model should be as simple as possible but no simpler. The converse is that a model should be as complex as necessary, but no more complex. In this article, I’ll discuss what the most useful level of complexity is for education theories. Some models of education attempt to divide issues into two or three sharply divided categories, such as “progressive education” versus “traditional education”. There’s an opposing view which claims that the whole topic is intractably complex, and that the best we can hope for is some areas of general agreement within a fog of personal opinions. The diagram below shows humorously what these viewpoints would look like if applied to models of timekeeping. One is a binary, either/or viewpoint, with time sharply divided into the two categories of “day” and “night”. The other is an extreme subjectivist haze, where there are no absolutes or certainties. Beneath the humour, there’s a serious point. Is it possible to identify an optimal level of complexity for models of education, and if so, how could we set about doing it? The field of zoology provides some instructive insights into how we can make sense of a very large problem area. There were numerous false starts, but eventually Linnaean classification provided a framework that was simple in its underlying principles and yet powerful enough to handle millions of different species. One core concept is the tree of life. The illustration below shows this concept. This diagram might look horribly complex, but it isn’t. 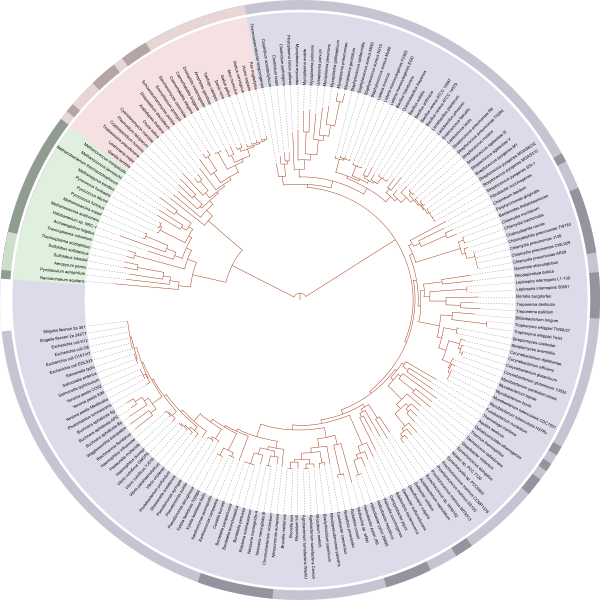 It’s big – it has to be, to handle several million species – but the underlying structure consists of a very few, very simple concepts. Here’s how it works. One core concept is that a higher-level category, such as X below, can be divided into lower-level categories, such as Y and Z below. In classic Linnaean taxonomy, there are about seven levels; more recent taxonomies have more, but not enormously more, as in the example above, which goes to about ten levels. The next core concept is that at each level, each category has one or more defining attributes unique to it, such as “has feathers”. Each category also inherits the defining attributes of its parents, so the category of “bird” will inherit categories such as “is warm blooded” and “has a bony skeleton” from the higher-level categories from which it is derived. The illustration below shows the principle. The subdividing stops at the level of “species”. This is the last core concept. I’ve laboured this point to show that an enormous problem space can be reduced to a very small number of core components that have enormous explanatory and predictive power. Conversely, an apparently simple problem, such as telling the precise time, can require a model with a large number of components, such as a mechanical clock. The image above shows part of an astronomical clock. It looks complex, and it is complex. However, there are three features of the clock that are easy to overlook, but that have profound implications. One is that although the clock mechanism is complex, it isn’t vague. Each part is precisely machined and is in precisely the right place; otherwise the clock wouldn’t work. Similarly, just because a theoretical model of something such as education might be complex, that doesn’t mean that the component parts of that model need to be vague. On the contrary, the more accurately defined the component parts are, the better the model is likely to work. The second key feature is that although there are many parts, they can be classified into a much smaller number of discrete categories, such as gear and spring. As with the zoological taxonomy example, good categorisation can make a problem much simpler. The third key feature is that mechanical clocks are accurate because they are complex. They need to be as complex as they are in order to do their job. It’s the same with models of how the kidneys work or of how the brain processes information. Sometimes there just isn’t a simple way of modelling something; you need to accept the complexity and get on with it. The diagram below shows this as a third way between the “night and day” simple binary model, and the “vague subjective haze” model with no fixed points. So what are the components that are required for a working model of education? If we look at what happens during an individual chunk of education, such as learning some small set of information about the Vikings in history, then that gives us an insight into which issues are involved. What goes in consists of information in the broadest sense. 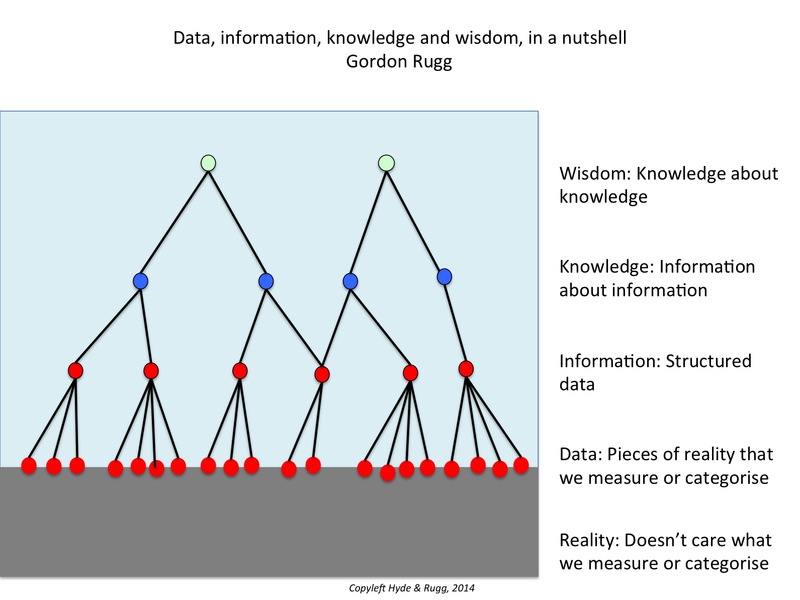 There’s a well-established pyramid of knowledge classification, which involves slicing the information into four levels, as in the diagram below. Another way of slicing up information in the broadest sense is the division into future/explicit/semi-tacit/tacit knowledge, from requirements engineering. This involves about fifteen bottom-level categories, as in the diagram below. That gives us a total of about twenty concepts for the “input” part of the process, grouped into about eight categories. That’s not an enormous number, and it’s composed of clearly defined components. How it goes in involves the delivery mechanism – in other words, the learning and/or teaching method being used for a particular piece of information. The delivery mechanism can be divided into different methods of teaching, training and learning. Although there are large numbers of different named methods, the number of underlying concepts is smaller. In the diagram below, we’ve listed just under twenty approaches as examples. We’re working on a unifying framework for delivery mechanisms, and it looks likely to end up with about as many components as the knowledge framework, i.e. about twenty, organised into a handful of categories. Our previous article on compiled skills shows an example of how the matching between a particular knowledge type and appropriate delivery mechanisms can be handled. What happens to it along the way is that the information is interpreted and assimilated, with varying degrees of fidelity. Things often go wrong. What goes wrong can be divided into physical problems, mental misunderstandings, and a combination of both. Physical problems contain sensory problems and information processing problems. Humans have around twenty different senses, with the precise number depending on the definition you use, which can be divided into a handful of categories. The category of “touch,” for instance, contains separate sensory systems that handle kinaesthesia (knowing where each part of the body is), heat reception, light touch and deep touch, among others. Again, these categories can be clearly differentiated, at the anatomical level, and have very practical implications. Misunderstandings have been researched in some depth in fields such as naïve physics and the psychology of programming, as well as in the broader field of mental models. Again, the number of key categories is tractably small, although the number of specific low-level examples is large. There are various formal taxonomies of error, and they typically contain a few dozen categories at most. So how complex does an education theory need to be? 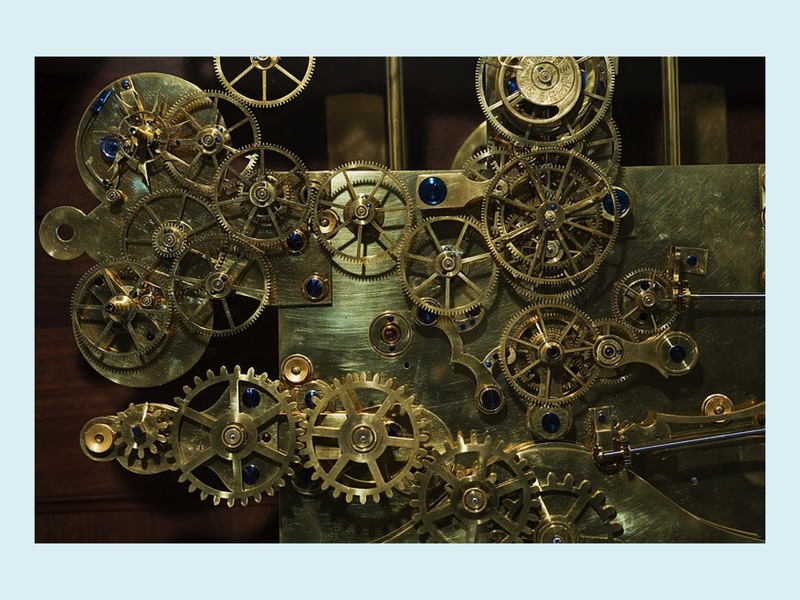 The figure of about a hundred categories might look forbiddingly high, but to put it in context, that’s fewer than the number of parts in a good quality mechanical clock. The numbers are approximate, but they’re likely to be in the right order of magnitude, as we’ll see in the next article. We’re talking about one or two hundred categories, rather than one or two thousand. It’s a tractable number. It’s well within the number of categories that a professional in other fields would be expected to know well – for instance, an ornithologist would easily be able to distinguish hundreds of different types of bird, and an interpreter would be expected to have a vocabulary of tens of thousands of words in each language. The literature on expertise has consistently found that experts in a given discipline know at least tens of thousands of chunks of information about their area of expertise, richly organised and categorised, so we should expect the same from experts on education. This gives us a starting point for constructing a model of education; we know roughly how complex it needs to be, and we know some of the key items that it needs to include. This doesn’t, however, tell us how the parts should fit together, or whether there might be other parts that we’ve missed. In our next article, we will tackle those questions by looking at ways of establishing the boundaries for an education theory. Rugg, G., D’Cruz, B., Foreman-Peck, L., Grimshaw, E., Guilford, S., Roberts, S. & Tonglet, M. (2008). Selection and use of elicitation techniques for education research. International Journal of Information and Operations Management Education 2(3) pp. 235-254. 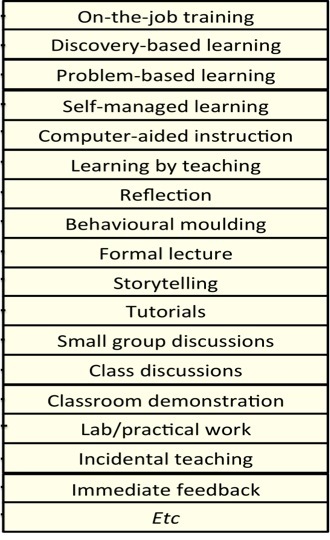 This entry was posted in categorisation, education theory, expertise, verifier and tagged complexity by hydeandrugg. Bookmark the permalink. I have often thought about using a Linnaean taxonomy to map the range of educational dysfunction such as ADHD and Dyslexia, using the numerous indicators as classification points. With the view that this would help in cross dysfunction diagnosis. Given the trends in educational needs assessment this process could help with linking neurological mapping to the real world outputs.